ProVia’s motto says its all – “It’s about serving”. This faith-based company’s customer service is based upon caring for details like no one else does. Its people, leaders and employees alike unify under a common cause – to offer the best service and products to their clientele. ProVia is located in Sugarcreek, Ohio, in the heart of the largest Amish population. Forty years ago, from humble beginnings, Bill Mullet operated his business from his garage and has since expanded into a well known national manufacturer of quality entry doors, energy-efficient windows, polymer vinyl siding, and artfully-crafted manufactured stone. Their reputation precedes them when it comes to customer care, quality products, and old-world craftsmanship. ProVia comes in two different ranges. 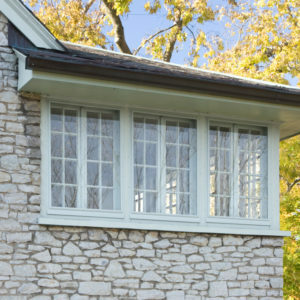 Vinyl windows which each have four unique styles, and storm windows, also with four unique styles. 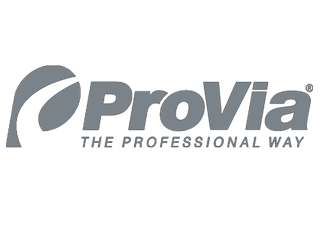 ProVia prides themselves in the AerisTM range for its elegant, beautiful and innovative design. Whether it is wood and vinyl windows or just wood windows, this range has everything you need. The carefree design of the windows, the AerisTM range is very aesthetically pleasing. This range considers the homeowners who love a warm wood finish to their windows on the inside and also adds the convenience of the maintenance-free vinyl exterior. Each window is tested to meet energy efficiency standards and is certified by Energy Star. From insulated frames and high durability windows, this range is always a win. The benefits of this range are unbeatable. Aspect has a lifetime limited warranty, which is transferable to a subsequent homeowner. This warranty covers materials and workmanship, glass breakage and seal failure. It will be highly unlikely for you to ever need to replace windows again. The Aspect range is ideal for new constructions and as replacements and comes in a color variety of Sandstone, Euro White and Beige. The Ecolite range focusses on high performance above any other economy window. High durability and energy efficient, tested against strong winds, water leaks, forced entry and operation, to name a few. This range also comes with a twenty-year glass seal failure warranty and a lifetime limited materials and workmanship warranty. When it comes to the Endure range, energy efficiency is the word to look for. Certified by Energy Star, these vinyl windows are top in their class with staying warm in winter and staying cool in summer which is everything you need from an energy efficient window. Storm windows are all custom built with very durable extruded aluminum. 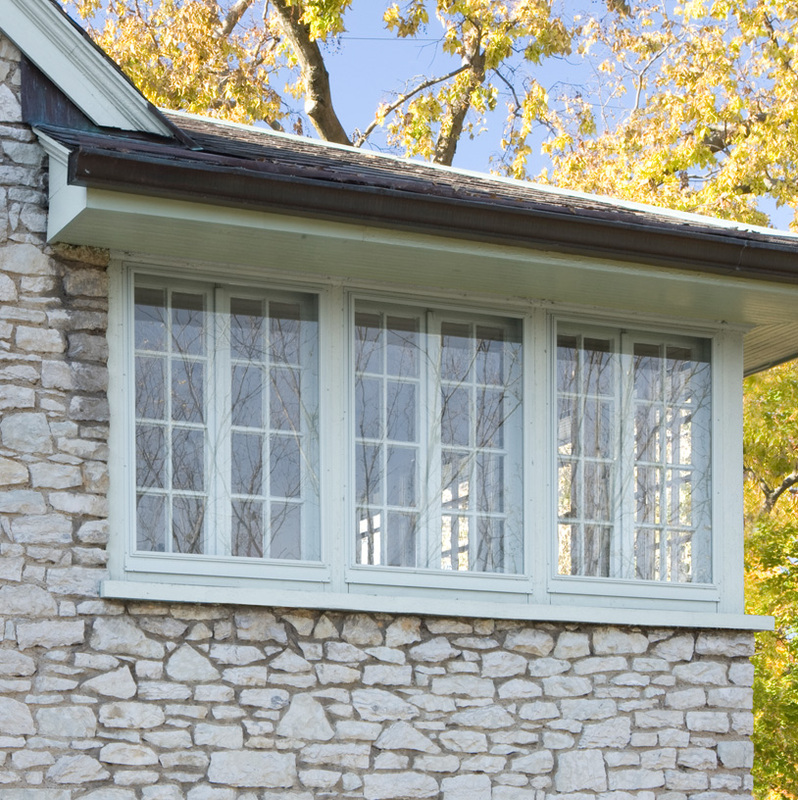 Storm windows also come standard with Low-E and other glass options. Aluminum frames come in 16 different colors to choose from. 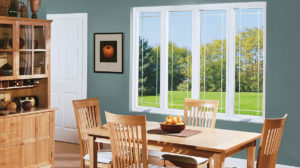 The Town & Country range is a double hung window that has the triple track feature, insulates from heat and cold. It also comes with Teflon coated springs and removable sash for easy cleaning. The Concord range is also a double hung window that has the triple track feature, insulates from heat and cold. It also comes with Teflon coated springs, removable sash for easy cleaning. The Valley forge range is a slider window that comes with a full length pull rail, durable Delrin rollers, hollow sill build for extra strength. The Clinton range that comes as picture windows but also have the option for specially ordering architectural shapes. Also has removal sash clips for cleaning on both inside and outside, mitered frame for extra strength and full weather stripping. ProVia offers grid options to suit your personal style and needs too. All the grids are internal grids so that means you will never have trouble cleaning your windows while having the grids come in the way. ProVia certainly has a very wide variety of choices to choose from. Not only do they do windows, but also have doors, siding, and stone to look into as well. They do not list any pricing as they prefer giving direct quotations to give a more personal experience when dealing with them. From starting in a garage to building their first headquarters in 1984 and doing extensive renovations in 1993, 2001, 2005 and 2012/2013, this company surely has come a long way in creating quality products, having a motto that makes you feel like family. 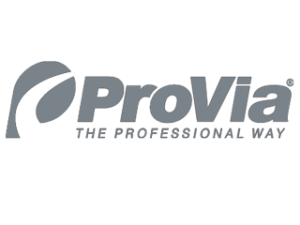 ProVia goes all the way and a little bit more to give each customer exactly what they are looking for.